Grand Central Academy of Art, Monday, July 14, 2014. Very often color is a mysterious area for many artists, leaving them questioning not only the colors they observe but also how to consistently mix up those colors! I know early on I had these same concerns and it took me many years to gain a color framework that took these mysteries away. 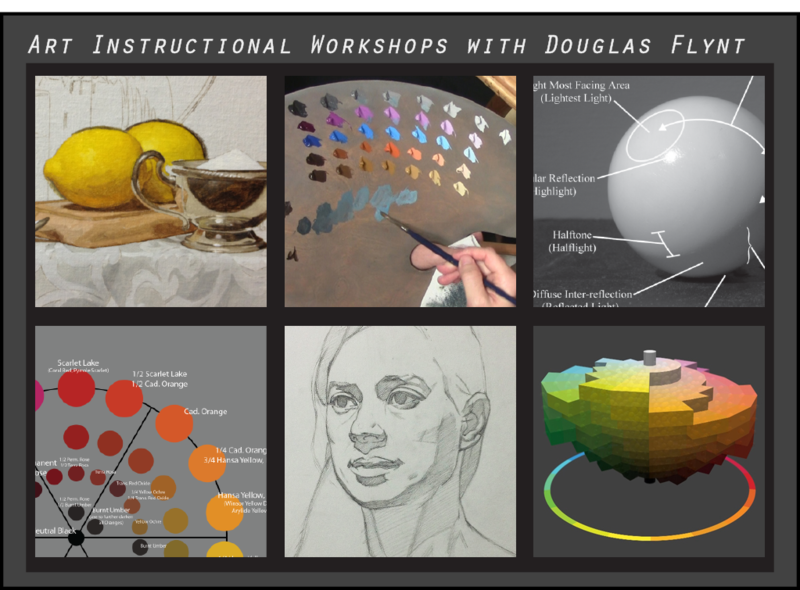 During each of my workshops I offer a lecture/discussion centered on color – establishing a common framework for all the participants to make use of during the remainder of the workshop. 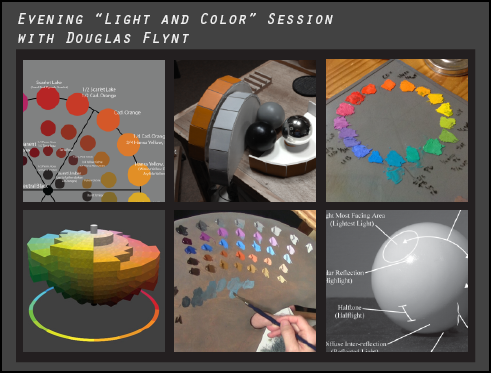 -Organizing colors in a color-space model. 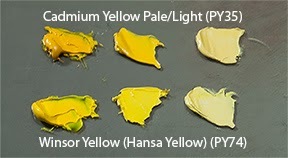 -Understanding fundamentals of how light works and affects our perceptions of an object’s local color and its shading. 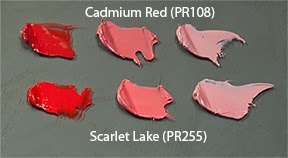 -How I go about designing a palette for a painting or a particular subject. This approximately three-hour session will be packed with as much information as I can squeeze in — with time available for questions from the group. 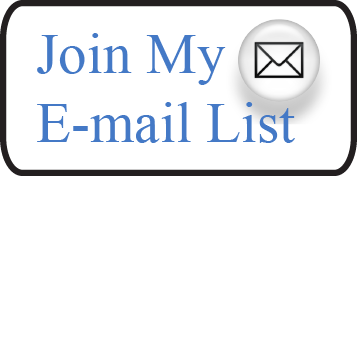 If you can attend, I can’t wait to share with you the most critical ideas related to color that help me in each of my own paintings so that hopefully you can feel more confident in your own color decisions! (For more information (including how to register) for either the workshop or the evening lecture please click "HERE." The images in the post are works by the artist Harold Speed (1872 -1957). I've referenced him before in my post titled The Optical and Conceptual: Components of Perception. You can read that post by clicking "here." Much of the time while I am painting, brushstrokes are constantly cutting across one another. 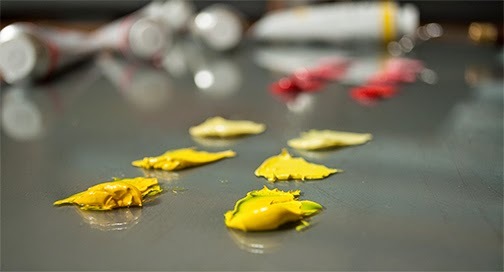 Yesterday while I was painting I recalled a statement by Harold Speed from his book Oil Painting Techniques and Materials. In the passage I was recalling he was describing “painting such details as the under eyelid…” And made the point that “Generally speaking, remember that you can only attend to one edge of the touch that you are making. If you try and paint a touch that needs variety on both its edges, and you try and get the variety on both sides at the same time, you will fail to get either right. ” In essence when we place a stroke of paint we can only focus on the exactness (drawing and placement) of one of its edges at a time. To get the other edge to be exactly as we wish we can then recut into it with the next stroke of paint. This is such a simple and obvious thought and yet it can be tremendously helpful at times. Even though I don’t necessarily paint in the exact manner prescribed by Harold Speed, I find his books are full of insightful material—every time I go back to them I seem to pick out some new bit of information. If you’ve got any useful insights or tips you’ve gained from reading either one of his books I’d love to hear about them in the comments below! 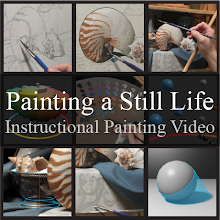 I am pleased to share a preview for my upcoming instructional video first announced a few weeks ago. I hope you enjoy the preview!